RE/MAX First in Oklahoma City was founded in 1990 on the principle that by joining together in a single office, committed full time REALTORS® would build valuable and highly profitable businesses, made possible by the full range of services provided by the brokerage and fueled by the success of like-minded agents. 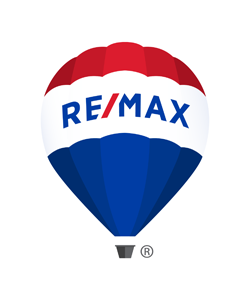 In our 20 year history, we have made our philosophy a reality, proven by our market share and one of the highest sales per agent averages in the metro area...when we bring the best together, we all sell more real estate! RE/MAX First was named the top RE/MAX Office for 2009 in the metro Oklahoma City area for both the number and total dollar volume of properties sold. The 27 real estate agents in the firm sold 596 residential properties for a total volume of 103 million dollars. The firm ranks in the top 10 for all individual real estate company offices for volume sold, for the entire Oklahoma City Multi-List area, according to MLSok.com statistics for the calendar year2009. "Our associates have accomplished remarkable results in a challenging financial and real estate year," remarked Broker/Owner GiGi Faulkner. "We've been through market corrections before. Our strategy to bring together experienced real estate practitioners in a collaborative environment has proven itself. They have become trusted advisors, because they know how to navigate through changing local markets and give clients sound counsel on their unique situations." Realtors in the firm were honored for individual accomplishments at the Awards Ceremony held Monday at the Skirvin Hilton Hotel. Chelle Greene received the Most Cooperative Spirit Award. Executive Club winners were Jessie Ann Arnold, Lola Baker, Dawn Davis Rutledge, Chelle Greene, Carmie Holloway, Kim Joseph, Odetta Nicholson, and Shannon Rundell. 100% Club Members included Doug Burleson, Holly Clifton, Alice Dahlgren, Debbie Magness, George Massey, Dana McGuire, and Christi Turrentine. Platinum Club Award winners were Chris Allen, Wendy Chong, and Barry Whittington. Chris Allen and Barry Whittington were recognized in the Top Ten Teams in Oklahoma and Wendy Chong was honored as number one in sales for the state of Oklahoma. "I'm so proud of our associates this year. Their sales achievements are just an outward expression of the many hours spent helping buyers and sellers achieve their goals, regardless of market conditions", said GiGi Faulkner. "It's well deserved and a great way to celebrate our company's 20th Anniversary!" *Based on information from the MLSOK.com for the period (1/01/09 through 12/31/2009) while information is deemed reliable it is not guaranteed.